Western swing sides by the Shelton Bros. with String Band accompaniment. 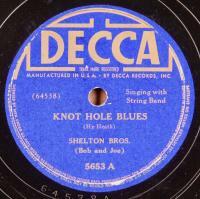 Condition: V/E,E+; “Knot Hole Blues” plays fine over light to moderate surface noise, generally quiet surface on “Meet Me…” Edge warp requires extra weight to track. 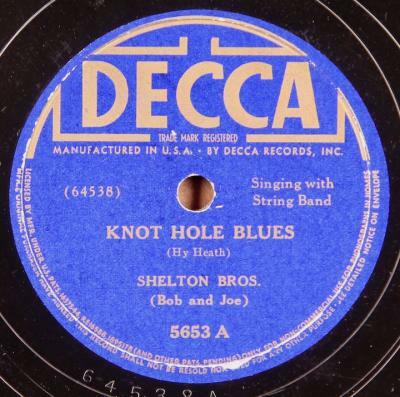 Generally clean copy though graying on “Knot Hole…,” “Meet Me…” is very clean.